A master thesis is a written research paper done by students in a master’s degree program under the supervision of a faculty advisor to fulfill the requirements of the Master’s program. Depending on the field of study, a master’s thesis can be up to 150 pages in length. It is done at the graduate level and is usually followed by further research in a doctoral program. What is the aim of a master’s thesis? A master thesis aims to indicate the candidate’s ability to think critically and analyze a chosen topic. A master thesis topic should be well-researched, written in a scholarly manner and contain a detailed methodology, accurate results and relevant knowledge claims to support the results. What are the objectives of writing a master thesis? Indicate a candidate’s ability to plan, execute and manage a major project with deadlines. The first step in determining your Master’s thesis topic is to look at what intrigues you. Look around you and in your field of study for topics that light a fire in you so much that you want to delve deeper into it to find out as much as you can. Look for a burning problem that you want to find a solution for and think of that solution. The next step is to look for previous research done on the Master thesis topic and determine if there are gaps in the research. If you have found something that fits both these criteria, then you have an option ready for further exploration. Speak with your professors and faculty members for insight into your MA thesis topics of interest as they can help you narrow down your topics or point you in the right direction for acquiring further research materials. If your Master thesis topic is in a particular field or industry, contact persons in the field and interview them. This will provide further insight and may also help you later with job prospects. If your aim was to have an impact on society, it is good to check with non-profit organizations for possible Master’s thesis topics and information. Depending on your topic and how beneficial it may be to the organization, you may be able to acquire a grant to carry out your research. If you have several options for a Master thesis topic, review them and rank them based on the criteria of the chosen one fulfilling your objective(s), interest and availability of information. Make sure you choose a Master thesis topic that is challenging but not impossible. Once you have chosen your topic, you will need to draft a thesis question. Make sure it is one that will generate impactful research and provide answers that are useful and relevant to your field of study. In order to answer your thesis question, you will have to read widely and research thoroughly all areas surrounding your Master thesis topic. You will need to review previous studies done by other master’s studies, read books and journals and possibly carry out experiments to answer your thesis question. Your Master’s thesis committee usually consists of three persons: your supervisor and two other persons. Make sure that you choose a supervisor who is an expert in the field and can provide the requisite guidance. Make sure your other two chosen committee members are persons you can trust and depend on to provide logical, critical and objective feedback on your Master thesis research and writings. Most importantly, make sure these people have the time to dedicate to you and your research so that you are not delayed because of their busy schedule. How to complete your Master thesis literature review? The candidate must research all aspects related to their chosen Master thesis topic in an effort to answer the thesis question. In doing so, you must review research previously done on and around the topic. This review of the literature will help to form the basis or backdrop to your Master thesis paper. Additionally, you will use it to critically analyze the previous research for gaps that you can explore further for your research. You may use different types of published materials for your Master thesis literature review. These include, but are not limited to, books, journals, magazines, reports, the internet, case studies and newspaper articles. Keep in mind that your literature review must relate to your research objectives and thesis question. How to choose primary sources for a Master thesis? Your primary sources are the important factual base for your Master thesis. These are written works done by the person who created the original idea/theory or experiment. How to select secondary sources for a Master thesis? Secondary sources are written about the primary sources. Including these in your MA thesis shows your depth of research, analysis and understanding of the topic. How to manage citations in a Master thesis? As with all research papers, you will need to appropriately cite your sources of information. Whether the majority of your sources are mentioned in the beginning of your Master thesis or they are scattered throughout, you must ensure that you record them as you write your Master paper rather than waiting until you have reached the end. Here are a few other things to keep in mind. While the most common Master thesis formats used are MLA, APA and Chicago, make sure you use the format most appropriate to your field of study. Make sure to create your works cited or reference list for each sources as you write your Master thesis and include them at the end of your document or as a footnote. Using a citation management software such as EasyBib, Mendeley, or EndNote for writing a Master thesis may prove useful. These software allow you to make changes to your citations that will be automatically populated to your Master thesis works cited or reference page. Using a citation management software such as EasyBib, Mendeley, or EndNote for writing a Master thesis may prove useful. What are the requirements for your field or department? There are two types of master’s thesis: qualitative and quantitative. Your field of study determines which of these is best suited to your thesis. Qualitative theses are usually done by humanities candidates and are exploratory, analytical and creative in nature. Quantitative theses are usually done by candidates doing the sciences and usually involve conducting experiments, measuring results and recording data. Check with your department to make sure you have chosen the correct type and review examples of previously done theses to ensure you are following the correct Master thesis format. Now that you have reviewed your sources and matched them to your thesis question, you are ready to finalize your thesis idea. You can do this by clearly stating in a concise manner your main idea (thesis question) that you will answer with your research. A master’s thesis outline is needed to help you stay on track and know what to logically and chronologically include in your paper. It will help you to be systematic in how you move forward in your research and in writing your thesis paper while showing your committee what you plan to achieve with your research and how you plan to do so. Body – which outlines the methodology, experiments, results, etc. A Master thesis outline contains: a title page, signature page, abstract, table of contents, intro, body, conclusion, bibliography, and appendix. You can do this by calculating the number of days you have to submission and breaking up the process into manageable parts with realistic deadlines. Writing a thesis is a daunting task so it is best to break up your writing time into small segments. Try to write a few pages or thousand words each day so as not to get overwhelmed. Another way to prevent feeling overwhelmed is to break up the work into small chunks. Aim to write for 25 minutes and then take a 5-minute break. You can do this for 2-3 hours per day or as needed based on your schedule. Writing an MA thesis is a mentally exhausting activity, so be sure to take breaks to rest. This helps to keep you on track and focused while preventing mistakes. Whatever time of day you are most productive, use this for your “writing time”. Schedule yourself to work on your MA thesis at this time of day for all the days you have allotted to work on your thesis. Use your Master thesis proposal as a starting point for your introduction as it forms a good basis for the rest of your paper. As you write your paper, you may see where you can edit the Master thesis introduction to include more information but it is always best to write a general introduction at first to start off on the right footing. Kudos to you if this was done at the beginning of your research or in the Master thesis proposal as all you will need now is to edit it and you will have completed that chapter. If this was not done, you will now have to use the published materials mentioned earlier to find suitable sources of information to use in your research. This can be done by explaining how your research adds value to the previously existing body of published information on the topic. 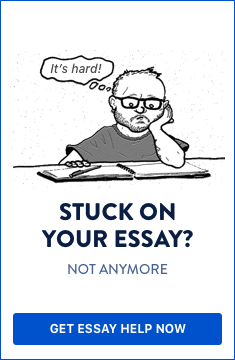 This will depend on whether you are writing a qualitative or quantitative Master thesis. Qualitative thesis requires analysis from many examples of both primary and secondary sources. Quantitative thesis will not require many secondary sources as most of the research will be done and presented by you. The body of the MA thesis and how the information is presented will also be a reflection of the type of thesis being done. Ensure that the conclusion of your Master thesis clearly states the results of your findings, suggests ways for future research to be done on the topic and demonstrates the significance of your research to your field of study. In your appendix, make sure you include any other relevant data such as graphs, charts, illustrations, etc. that were not included in the body of the Master’s paper. Make sure these are represented according to the rules or guidelines of your field of study and university. Many universities have specific guidelines/ requirements for writing a Master’s thesis; check with yours to ensure your thesis meets the desired requirements. If a Master thesis template is provided by your department or university, save yourself time and effort by using it. Once you have finished writing your thesis, take some time off to rest your brain before you review for grammatical errors and typos. You are less likely to miss these when you have fresh eyes and are not mentally and physically tired. Additionally, it is very helpful to ask a trusted and meticulous colleague to review your Master thesis as a totally new pair of fresh eyes will bring new insight to the paper and can spot errors more easily. Each university will have guidelines for printing and binding Master theses. In an effort to prevent delays, find out what these are for your institution and follow the rules to make sure it is done correctly. Upon completing your MA thesis, you will need to present your thesis idea and findings to your committee members. This is known as the Master’s thesis defense and it gives you an opportunity to share your knowledge on the topic while allowing your committee to ask questions or share concerns they may have prior to you submitting your thesis paper. Check with your university for specific guidelines for Master’s theses submissions and adhere to them as closely as possible to prevent delays. Many universities require candidates to upload their thesis to ProQuest for electronic publication and tracking. Determine if your university also has this as a requirement; if so, make sure you adhere to the rules to prevent setbacks. Check with your university about Master thesis formatting guidelines as well. Adhering to these requirements will also save time and prevent delays in submission. Be sure to submit your Master thesis prior to or on the deadline to prevent delays and issues that may lead to your graduation date being postponed. Can a case study be used for a Master's thesis? The case study selected must be justified. In so doing, it must be critically analyzed and compared to similar cases. Any generalizations that can be made about the findings must be explained. How to Write a Master thesis abstract? A Master thesis abstract is a one-page, 100 – 150-word summary of the thesis that presents all the relevant information of the research in a clear and concise form. The abstract is often written at the beginning of the thesis. You will need to outline in your Master’s thesis abstract an introduction, literature review, methodology, research findings/results and your conclusion. It should be written so that it can be used as a stand-alone document that gives the reader all the information they need to know about the research and how to either carry out the same research or expand on it in the future. How do you do an appendix for a Master’s thesis? The appendix is a list of the research materials used in your Master thesis that supplement the information but does not belong directly in the body of the text. These may include permission letters, surveys/questionnaires, tables and figures. If you are not certain what to put in your Mast thesis appendix, speak with your advisor for guidance. In addition to this, make sure you check your formatting style to make sure your appendix is in line with it. How do you write a master thesis acknowledgement? While a master thesis acknowledgement page may be optional, it is good to include it in the thesis. If included, it must follow the abstract page and express thanks and appreciation to the persons and institutions that contributed to your thesis. This ranges from founders, mentors, advisors, faculty personnel, other students and colleagues to family. When writing your Master thesis acknowledgements, the word “ACKNOWLEDGEMENT” must be centered at the top of the page in capital letters. What is the best Master thesis structure? When writing a master’s thesis, the following is a good example of how to structure your paper. What are some good Master thesis topics? 1. How will Brexit affect the Scandinavian countries. 2. Understanding the policies surrounding climate change. 3. What drives consumers to change shopping habits? 4. Understanding the perception and attitude towards ecotourism in the Caribbean. 5. How does legal status affect school attendance in immigrants? 6. Do better-educated persons react faster to policy changes? 7. How has LinkedIn and other professional social networks changed the face of job search? 8. Understanding Intellectual Property Rights for dancers and performing artists. 9. How does engaging in corporate social responsibility impact brand equity? 10. Understanding introverts and the difference between introversion and anti-socialism. 11. How do you motivate employees in the service industry? 12. How can small companies use social media to attract and retain customers? 13. What is the impact of Amazon.com on other e-commerce businesses? 14. How does hosting the Olympic games affect a country? 15. Understanding Generation Z and how to communicate with them. 16. What are the challenges of cancer drug development in your country? 17. What role does school lunches play in childhood obesity? 18. How beneficial is the Human Genome Project? 19. How can you use relationship marketing to attract new customers on social media? 20. How does product quality affect customer loyalty? Writing a Master thesis can be daunting, but hopefully, you will find this comprehensive guide beneficial and the task will be less challenging. Looking for Master thesis help?